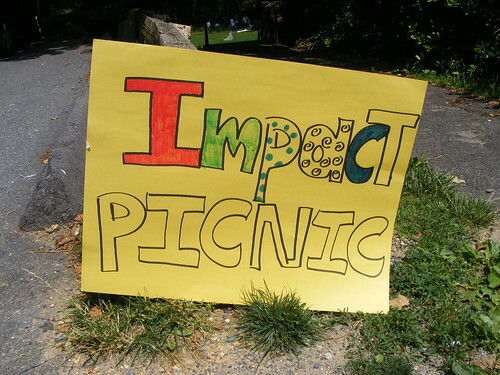 IMPACT Silver Spring, a local non-profit helping to bridge the divide between immigrant communities in the Downcounty, held a Community-Wide Picnic last Saturday in Takoma Park. It looked like a normal summer get-together, with radio hits playing over a boombox, children with painted faces, and plates of hamburgers fresh off the gril. But IMPACT Silver Spring's "Community-Wide Picnic," held last Saturday at Takoma-Piney Branch Park, had higher aspirations. "You can see all the diversity," says program director Winta Teferi. 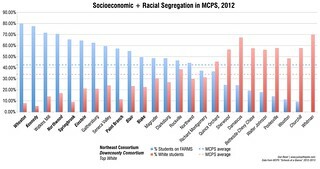 "It's important to create a strong network of people who are connected across lines of race and language. Sometimes you come to a place and you stay with the people you know." IMPACT Silver Spring was founded nine years ago as a response to the Downcounty's rapidly changing demographics, representing the area's newly forming immigrant communities while also teaching people to advocate for themselves. 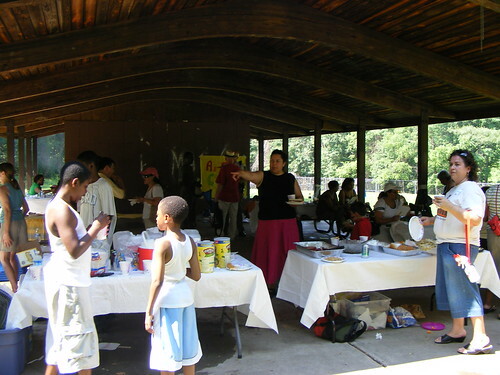 Their picnic sought to bring together alumni of their Neighborhood IMPACT program, which helped renters build coalitions within apartment complexes, and IMPACT in the Schools, which encourages parents to get involved in their children's education as a means of decreasing the achievement gap between minority students and their white counterparts. While the dual programs help people become involved in their community, political office is rarely seen as a goal, Teferi explains. "We emphasize the idea of working with others," she says. "We encourage them to work together starting from small improvements in their communities . . . we believe that big changes start very small." 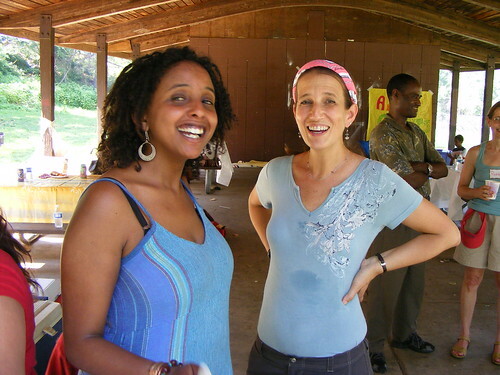 Program director Winta Teferi poses with a local resident. Sara Mussie, a Downcounty resident of sixteen years, went through the IMPACT in the Schools program before becoming a staff member. A mother of Ethiopian descent, Mussie wasn't accustomed to working alongside her kids' teachers because of her culture's faith in their authority, she explains. "My parents hardly came to [my] school because that was the culture. There was no connection between," says Mussie. "We encourage them to have communication with the teachers." Originally, Mussie was skeptical about the program. "I felt that I was doing good with my children," she says. "With the teacher I had no relationship. I would say 'hi,' 'bye,' go to the Parent-Teacher Conference once a year, that was it. I never advocated for my child. Once I started going through the program, that really helped me . . . and I could help others as well." The program aims to help immigrant parents adjust to the social and cultural norms of American schools. "We give six-week-long workshops for parents how to help your child at home, how to work with the school system," explains Mussie. "It's very interactive . . . like a discussion forum. We give them the tools, how to ask the right questions, how to use a calendar." Intern Megan Moriarty became interested about Neighborhood IMPACT after writing about it for her Community Planning program at the University of Maryland, where she graduated with a Master's degree last month. As a renter in Falkland Chase, Moriarty relates well to the individuals she works with. "I think the same issues come up if you're a renter in Silver Spring or Takoma Park or D.C.," says Moriarty. "Same complaints, the same difficulties of being renters . . . IMPACT embraces it. What can we do to work with property managers, to work with our neighbors, to make our communities better places." After both of IMPACT's programs wrapped up for the spring, those involved in the organization were anxious for a way to bring its members together. "We have two programs, one for renters and one for parents and we don't really do anything for both," Moriarty says. "It's a good way to get people involved and grow the network, if you will." After considering a retreat and softball team, a picnic "seemed like the easiest thing to pull off in the short term," she adds. An Olney native, Moriarty left the Washington area for college, studying at the University of Colorado and in Costa Rica before returning for graduate school. As she becomes more involved with groups like IMPACT Silver Spring, leaving again seems increasingly difficult. "I left and never thought I'd be back," says Moriarty. 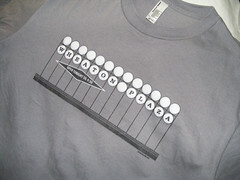 "The last couple of years in Silver Spring, I can't imagine leaving now. The more you become connected, the more you understand how things work. I can't imagine doing that over somewhere else." Just to clarify the community member posing with Winta is Frankie Blackburn, the Executive Director of IMPACT Silver Spring.